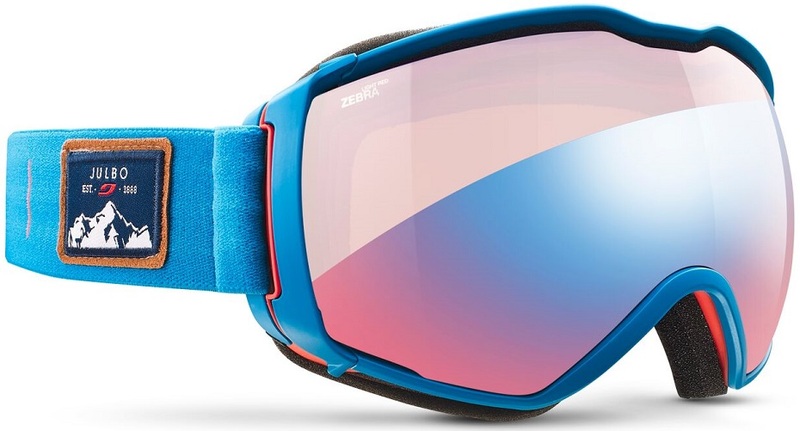 Finally, some goggles that work for uphill skiing. Julbo has an ingeniously simple plan for tackling the inevitable fogging that occurs if you ski with a typical goggle in the backcountry. All you do is pull the lens away from your face, which pops open to leave a sub-centimeter gap all around the glass. This is just enough to let your steam escape and a freshening airflow to work across your brow. If the weather is bad, push the lens back in for maximum weather protection on the down. Or ski with ‘em open for a nice breeze. The Aerospace Goggle comes in an assortment of colors and lenses to match your style and climate. 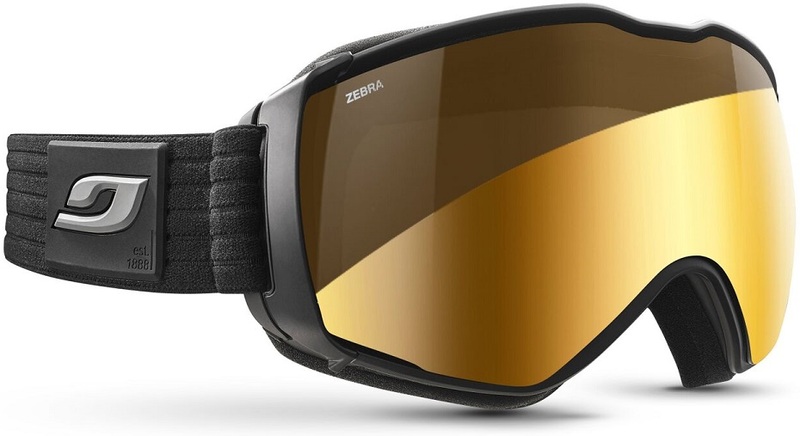 The amazing Zebra is the same transition lens found in the sunglasses we’ve been skiing with for years. With a huge range of light adaptation, you can leave them on throughout the day. Julbo is the leader in photochromatic technology. SuperFlow system lets you push the lens away from your face while ascending. Extra-large chassis doesn’t inhibit your view like a lot of goggles on the market. Minimalist frame is comfort fitting and spherical lenses don’t distort your vision. Zebra is a non-polarized, Super High Reactive lens that changes quickly to conditions. Zebra Light is a non-polarized, Non Temperature Sensitive lens that specializes in lowlight. Camel is a polarized lens that can handle the brightest of conditions at elevation. Snow Tiger Lens is a polarized photochromic lens for the clearest vision in all conditions. All lenses have an anti-fog treatment that works in combination with the airflow. Flash treatment aids in glare protection and helps increase your coolness quotient. Sort of an odd complaint: when racing and pushing the goggles up onto the helmet, the inner curvature of the goggles is steeper than that of the helmet. Meaning that the goggles don't sit flat on the helmet, there is a gap that allow to snow to fall in. This is a problem I've run into with multiple brands of helmet. The lenses scratch remarkably easily, then again all mirrored lenses do. I ruined one pair, and babied the second. On especially cold days the lenses change tint much slower, an odd problem. I've owned both the snow tiger and the zebra light red. Snow tiger is not the best in low light conditions, zebra light is ok, but still not as good as the old red tinted lenses. Both perform well on bright sunny days. Tres and gang- do you guys stock the OTG models of these (over the glasses)? Hey Mike! Unfortunately we don't stock it. I think we should though, so I'll put in a word with the boss. If you wear corrective lenses then the OTG is probably the better choice, but purely out of laziness I have worn the non-OTG version over my sunglasses for the way down a lot and it has always worked pretty well for the most part. how durable are these? are they a goggle with racing primarily in mind?  more moving parts worry me with multiple transitions, long season etc. any reports on that? Hi Marc! They're pretty dang durable, I'm on my 4th season with my first pair at this point. I haven't seen any break before but I was definitely leery of that in the beginning. I tour with glasses mostly but you're right, there are days of storm skiing that are too good to miss and glasses or normal goggles just don't cut it. These make skiing during snowfall a much more seamless process. I have been using the Aerospace goggles for the last year - mine have the zebra lenses - and have been very pleased with them in all conditions except flat light. The lenses are very crisp and your vision is acute and clear. 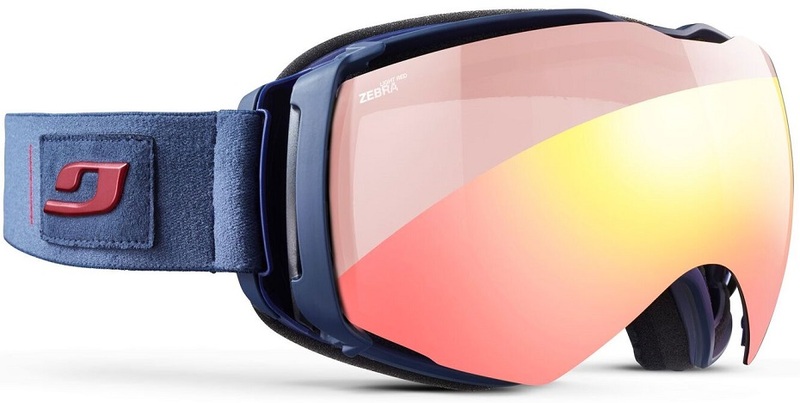 The photochromic lens changes quickly and is great for skiing a wide open slope, dropping into a shaded chute, ducking into the trees, and then popping back out into full sun. I never felt like I was struggling to deal with the brightness level. Even low-light when the sun was going down or coming up, I never felt like I wished I gone with the Zebra Light lenses. My biggest complain is that I absolutely cannot use these in flat light. Granted I have an astigmatism, which I've been told makes flat-light conditions all the more difficult, but without a little help from the sun, I can't see the slightest bit of contour or texture on a slope with the Zebra lens. Now, I certainly am not complaining about this, I don't expect a single pair of goggles to do everything perfectly, this is just what I have found to be their achilles heal. On to the frames - The large lenses and frames give you great field of vision (oh, the snazzy, Euro, tunnel-vision-goggles of old, how I do not miss you). The pop-forward lens to ventilate works extremely well - though after popping them forward the first time I haven't been able to secure them fully-shut again (though, honestly I haven't needed to). Whether you're skinning up in blustery conditions, or going the lazy route on a lift, these goggles give you protection and excellent ventilation. Sure, they'll fog from time to time - particularly in a hard effort - but as you get your heart rate back down out of the red zone they clear up very quickly and I haven't had any issues with compromised vision when I needed to be able to see clearly - but, please note, I don't race, so I can't speak to their usefulness in that space. As I do more fitness skinning this winter (who knows maybe a race or two could be in my future in coming seasons), I'll see how the ventilation works when I'm really doing consistent high-output skinning and booting, but I'm guessing they'll be pretty solid. As an update to my previous review, I have just added a pair of the Zebra Light Red lens goggles to my assortment, and am incredibly happy with the results - they are the perfect compliment to the standard Zebra lenses and have completely taken care of my issue with flat, diffused light. I skied these a week ago when it was gray and snowing, but with sunlight behind the haze that was making things very difficult driving to the mountain, but as soon as I got out, geared up and put on the ZL Red goggles, things were clear as could be. The definition and detail were everything I could have hoped for. I was between the Julbo goggles and the Smith Chroma Pop with the light orange lenses. I'm very happy with my decision to stick with the Julbos. I'll keep the regular Zebras for bright days, because they are great for those. But the Zebra Light Red lens is perfect for everything that the regular Zebra isn't. 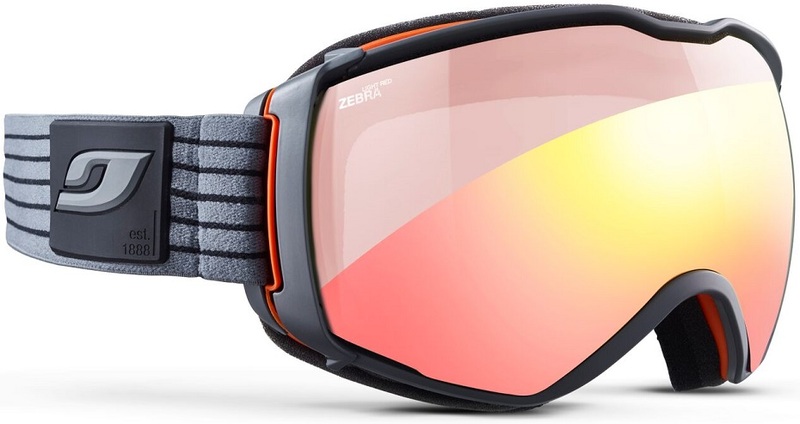 BTW - The Zebra Light Red lens is in the goggles listed as "Zebra Light, Black"
Great review! I am reaaaaally interested in the Zebra Light Red lenses. I also have Zebras and love them except for flat out days where I definitely don’t like them! I suffer astigmatism too (I didn’t know that it could affect my vision in flat light, which is actually quite bad!). Great to know that these lenses are better than the traditional Zebras! Have you compared the ZL Red with other high-contrast lenses (Oakley Prizm, Giro Vivids, the Chromapops,...) by any chance? THANKS! Will you be getting any Zebra Light lenses in anytime soon? Hi Thomas, it sounds like Julbo is sold out globally.